The founders of Carolina Construction School, LLC saw a gap in the market. While there were great jobs available in the construction industry, it was difficult to find the right people to fill the positions. Establishing this school makes standardization of training and skill levels available for everybody. Carolina Construction School is focused on meeting the training needs for equipment operators, truck drivers and safety in today’s construction market using the latest technologies, experienced instructors, hands-on education and safety tools. Carolina Construction School aims to bridge the skills gap by training students for in-demand careers in the construction industry. Our heavy equipment operator courses also include skill level assessments to provide tangible solutions to businesses looking to hire ready-to-work employees. As the founder of Carolina Construction School, Kim recognized a need for standardized skill sets and training for her own company, LCI-Lineberger Construction Company. After developing an in-house program for training employees, Kim recognized the need for an independently operated school to benefit the construction industry. Carolina Construction School is the result. With over two decades of construction experience, both as an engineer and as a business owner, Kim brings her real-world knowledge of hiring needs and construction skill set gaps to Carolina Construction School. 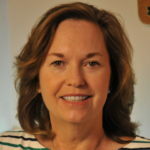 Kim has a BS in Civil Engineering from North Carolina State University and has volunteered her expertise to many boards and industry associations such as the Association of General Contractors, the Wachovia Small Business Advisory Board, and the SC Contractors Licensing Board. Kim is also proud to be a charter member of the Women President’s Organization of South Carolina. Reid Baker has completed the NCCER Certified Instructor Training Program as a CORE Instructor for the National Center for Construction Education and Research. Reid’s background is focused on human resources management and organizational development. He has 35+ years of extensive experience to include as the director of human resources for a major textile yarn manufacturer. He also held various management positions with Springs Industries to include, production scheduling, customer service, and human resources for the company’s largest facilities. Most recently, he was part of the Catawba Workforce Investment Act team as the business services manager. He worked directly with regional companies to secure workforce training grants for training initiatives to develop new skills and train workers for new technology processes. 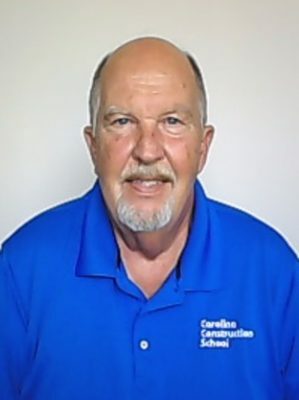 Reid joined the Carolina Construction School faculty as the school’s administrator. David Neil is an OSHA Authorized Construction Trainer and a NCCER Certified Master Trainer for the National Center for Construction Education and Research. David is also a NCCER Certified Craft Instructor for NCCER Core training, Heavy Equipment & Field Safety with 35+ years of extensive experience in the construction, safety and training industries. Most recently, David joined the Carolina Construction School faculty as a heavy equipment Master Trainer instructor and instructor of various safety programs. David has been a successful business owner, site safety manager, project safety manager for large construction companies. Prior to joining Carolina Construction School’s faculty, he was the project safety manager for Shimizu North America at the GITI Tire Company’s construction site in South Carolina. David’s background also encompasses being an OSHA and NCCER instructor within the South Carolina Technical College system. He delivered safety and heavy equipment operator training across the state to state, local government and municipal agencies.